As interest rates climb and salary growth stalls, borrowers are taking cash out against their homes in volumes not seen in over a decade. Close to $14.6 billion was withdrawn from home equity across the country during the third quarter, as more than 80 percent of borrowers chose to take out cash against their homes, according to The Wall Street Journal. However, these figures are still well below rates seen before the financial crisis, when borrowers cashed out over $80 billion for three consecutive quarters in 2006. 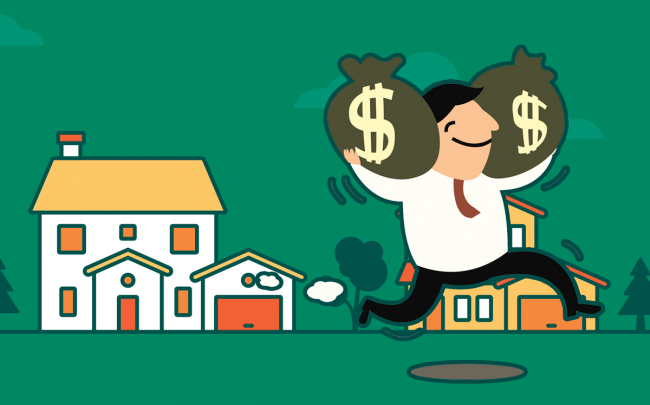 Homeowners often seek to refinance their homes to retire their previous loans, and cashing out can be used to fund renovations or retire a college debt. The economy’s growth is driving up housing prices, but leaving worker salaries growing at a slower rate, so many borrowers are turning to the cash stored within their homes.